Once Royal Marines (RM) officers have completed their Phase 1 initial military training at the Commando Training Centre Royal Marines (CTCRM), and their Phase 2 specialist training courses they will move on to their next batch of training and education, which is termed command and staff training (CST). All residential Phase 3 generic CST courses for officers up to Major Rank are delivered by the Royal Naval and Army Divisions of JSCSC. Officers receive a significant amount of leadership training as part of the Phase 1 Initial Officer Training package, which is delivered by CTCRM. 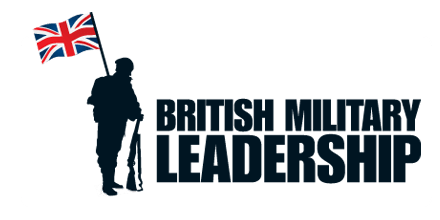 RM Officers undertake their own equivalent of the British Army’s Junior Officer Leadership Programme One (JOLP1), and may then complete either Week 1 of the Royal Navy’s Junior Officer Leadership Course Two (JOLC2) or the British Army’s JOLP3. Overlaid on these are three modules each of Military Analysis (MA) and Military Knowledge (MK); of which RM Officers must also complete a MK module specific to the RM. These modules are distance learning packages completed in parallel during the course of normal duties; successful completion is a prerequisite for promotion to Major and attendance at the Intermediate Command and Staff Course (ICSC). Those RM Officers selected for ICSC attend the Land, rather than the Maritime, course. For information on the Junior Officer Leadership Programme One (JOLP1) please use the following link: British Army Officer Career Development Programmes. The Junior Officer Leadership Course Two (JOLC2) is part of the Second Sea Lord’s (2SL’s) Maritime Through Career Developmentproject to provide CLM and staff training development to Officers throughout their career to 1* (OF-6, Commodore) level. JOLC2 is delivered by Powerful Squadron, part of the RNLA, and is located at BRNC Dartmouth. JOLC2 is a recently developed 2-week progressive course, intended to build on previous training and be a prerequisite for ICSC(M). Week 1 is mainly theoretical, increasing self-awareness by the use of personality profiling tools, examining core leadership theories and introducing coaching and motivational theory. Week 2 is more practical, focusing on leadership and teamwork, and includes team-building exercises in outdoor locations. For information on the Junior Officer Leadership Programme Three (JOLP3) please use the following link: British Army Officer Career Development Programmes. JOTAC consists of a 4 week course consisting of tactical exercises without troops (TEWTs) and classroom exercises assisted by computer simulation. The focus is on the sub-unit, but there is exposure to battle group and brigade levels. The training objectives include mission planning, force preparation, deployment and recovery, simulated ground manoeuvre, protection and the management of combat service support. The Military Knowledge (MK) range of courses is one of the results of a detailed study, the Review of Officer Career Courses (ROCC), which was commissioned to identify the education and training that officers require at various stages of their careers. Further explanation of these stages is contained in the Officer Career Development Handbook (OCDH). As directed within chapter 14 of the Officer Career Development Handbook (OCDH), the Military Knowledge 1 (MK1) course is mandated for junior Captains of the Regular Army and Royal Marines (RM). However, it is also suitable for those in the Defence and Security sectors as useful reference material for Battlegroup capability. This course is mandated for junior RM Captains in addition to them conducting MK1. However, it is also suitable for those in the Defence and Security sectors as useful reference material for formation capability.The aim of the course is to deliver the additional underpinning knowledge required by junior RM Captains of the Regular Marines for junior command positions, and it also provides the necessary grounding for JOTAC and MK2. MK(RM)1 is based on 2-4 hours web-based distance learning and consists of one module: amphibious operations, with a formative and summative assessment at the end of the module. As directed within chapter 17 of the OCDH, the Military Knowledge 2 (MK2) course is mandated for senior Captains of the Regular Army and RM. However, it is also suitable for those in the Defence and Security sectors as useful reference material for formation capability.The aim of the course is to deliver the additional underpinning knowledge required by senior Captains of the Regular Army and RM prior to taking an SO3 (Staff Officer 3) appointment and also prepares them for the Captains Warfare Course. Module 4: Brigade Tactical Actions (Formation Operations). The MK2 distance learning package and assessment must be completed prior to attendance on CWC and all students will complete an In-Test on Day 1 of the course. This is designed to confirm students’ levels of preparedness for the course. Part of it includes a number of questions that will test recall of knowledge covered in the MK2 package completed prior to the course. Additionally, students will be assessed on their ability to navigate relevant doctrine publications in order to find information. The Advanced Amphibious Warfare Course (AAWC) comes under the auspices of the Royal Naval Division of the JSCSC. The aim of AAWC is to provide a broad understanding of the principles and roles of naval warfare in British defence policy, with particular reference to the part played by amphibious operations. Theme 05: Considering plans and maritime tactics. Themes 1-3 provide a foundation for themes 4-5. Overall, the purpose of the course is to ensure that RM officers are fully aware of the maritime aspects of their business after a prolonged period of land warfare training. For information on the Advanced Command and Staff Course (ACSC) and the Advanced Command and Staff Course (Reserves) (ACSC(R)) please use the following link: British Army Officer Career Development Programmes.